More than 1,200 families have received beginning home libraries in the past five years through church-based family reading fairs under the Books for the Border banner. 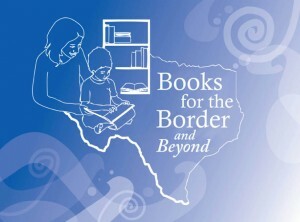 Books for the Border began in seven Texas counties identified as among the twenty poorest counties in the United States. Family reading fairs have been hosted in a variety of such communities beyond the Texas-Mexico Border, including Amarillo, Dallas, Joshua, Lubbock, and San Antonio. Others are planned for Copperas Cove, Corpus Christi and Fort Worth this year. A reading fair in your community would involve identifying families in your community, getting a bookshelf pattern from Literacy ConneXus, building them, collecting and buying age appropriate books and holding the actual fair to distribute the books and bookcases. A project outline is available in the Books for the Border Planning Guide. Significantly, literacy projects including books and bookcases or bookshelves have been held in other Together for Hope venues in Alabama, Arkansas, Florida, Kentucky, North Carolina, and South Carolina. Karen and I have both just completed reading When Helping Hurts (http://www.whenhelpinghurts.org/). Chapter Five provides an excellent explanation of asset mapping. Implementing this idea, beginning with recognition of the gifts and talents of the group, was a challenge with language differences–to say nothing of cultural differences. We were wondering how home libraries (ala Books for the Border) might fit in the context of Karen families living in Texas. We did not leave with clarity so much as commitment to begin with what we learned of the desire of these brave people to preserve their language while gaining English. We will walk with them to discover how to use the Karen love for their children and the valuable gifts of volunteers who stretch to help in ways that do not hurt. Literacy Connexus seeks to work with those who recognize the value of placing libraries in every home—especially for those living in poverty. Children who are read to, who see their parents reading, and who grow up in homes with books are more ready for kindergarten. What about your community? A workshop session entitled A Library in Every Home will be offered at the Metroplex Literacy Conference in Dallas March 10 (See http://hopeliteracy.com/). For additional information about ways to encourage and equip ESL students to read to their children, contact Lester Meriwether, 817-696-9898/Lester@literacyconnexus.org. As committed as ever to the needs of those along the border, we’re acknowledging that poverty exists beyond that region and throughout our state. Hence, and Beyond added to our moniker. We’re matching, stride-for-stride, the direction of the Cooperative Baptist Fellowship’s Together for Hope rural poverty initiative, in which our ministry is embedded. Initially focused on America’s 20 poorest counties, Together for Hope leads participating churches, groups, and individuals toward gaining a greater awareness of our biblical mandate concerning the poor, and implementing those lessons-learned in each home community. As we move forward in 2012, addressing literacy needs on the border and in our own backyards, we fervently solicit your ideas for project expansion and effectiveness. Peruse our December 28, 2011 newsletter for more on the specific points we are pondering. The Cooperative Baptist Fellowship of South Carolina is gearing up for their first Family Literacy Fair. They asked three churches to build 10 bookcases each, and had another church catch the enthusiasm and build 10 more. A Youth Leadership group in South Carolina donated $900 to buy health literacy books, Bible coloring books, and book bags. The youth have volunteered to help conduct the Literacy Fair. A South Carolina ladies’ missions group donated funds and books for the Literacy Fair. When one participant realized the children’s Bible she had brought was the Books for the Border and Beyond-recommended edition, she determined to buy 35 more for the project. Literacy First, Conroe, TX, gave bags of books to each child of the adult students in their ESL and GED classes this month. They provided additional bagfuls to Buckner Ministry’s Family Place. First Baptist Church Conroe got in on the action by contributing the homemade book bags. 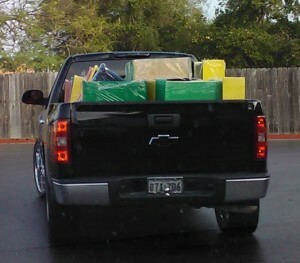 Habitat for Humanity in Conroe is adding bookshelves to new homes; Literacy First stocks them with books. Literacy First, Conroe, provides mentors to a nearby lower-income middle school, and uses the opportunity to place books in the hands of students. Gideons International of Conroe has provided bilinear Bibles to the adults in the Literacy First program. Inspire us with tales of literacy efforts in your community!